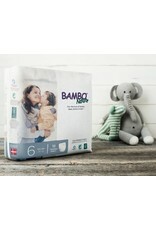 Bambo Nature Training Pants are eco-friendly and certified skin-safe. With our flexible, thin, and easy to pull up and down design, our training pants are designed to make potty training easier for toddlers (and for parents). Are your training pants really safe and effective? 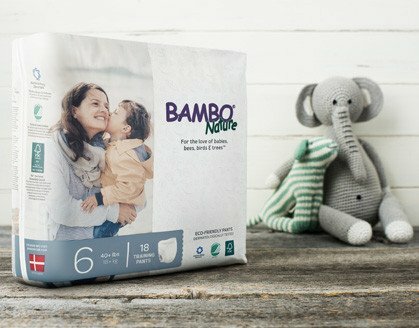 How absorbent and breathable are Bambo Nature training pants? Our technologically innovative training pants are thin, yet ultra-absorbent and feature a fully breathable backsheet. 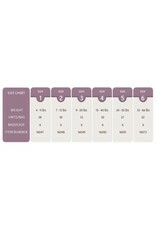 This allows moisture to be wicked away faster, keeping your toddler’s skin dry and reducing the likelihood of rash. A dry environment, along with the absence of harmful chemicals and allergens, not only prevents, but aids in the healing of diaper rash.